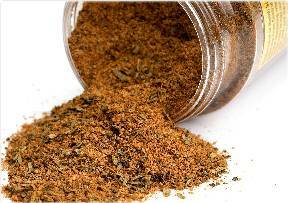 Basic Memphis Style Dry Rub captures the flavors of Memphis using homemade ingredients. What better way to capture the flavors of Memphis style dry rub barbecue than with this simple and easy to make Memphis style dry rub recipe. Now you can get the best of both worlds with this great basic Memphis Style Dry Rub and Jake's Famous Memphis Style BBQ Sauce. Use Code: 1707200910 with any item and receive a 10% discount. Enter the code at Checkout. Blend together well and put in container. Store in cool dry place. Use on ribs, chicken and fish dishes.